Global design and BIM software solutions provider Vectorworks, Inc. have established themselves as industry leaders in design, calculation and visualisation software for a wide range of industries. With the release of Vectorworks 2019, the company takes their commitment to usability, intuitiveness and flexibility one step further. 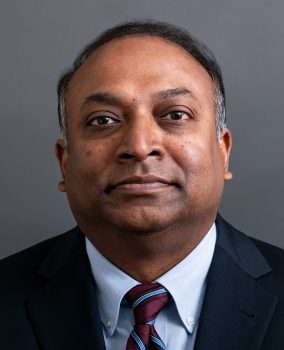 LightSoundJournal took the opportunity to speak with the company’s CEO, Dr. Biplab Sarkar, in order to better understand just what factors keep their software ahead of the game. LightSoundJournal: Let’s start with Spotlight, your entertainment-focussed design and modelling package. What new features and improvements have you brought to the 2019 edition? Dr. Biplab Sarkar: We’ve dramatically improved our 3D workflow, with improved objects and tools that have been re-engineered to work at their absolute best in a 3D environment. In order to make the 3D design process as convenient as possible, we’ve implemented new features such as automatic snapping to surfaces without the need to return to a top view. When hanging lighting fixtures from a truss, the rotate tool now also works within the 3D environment. We find that more and more users are utilising this type of 3D workflow now, so we’ve ensured that all of the tools within the software are intuitive to use in both a 2D and 3D workspace. In order to speed up usability, the label legend for lighting devices now works in any 3D view. LightSoundJournal: How about Braceworks? This software was only introduced in 2018, so it’s quite a quick turnaround for any major improvements, isn’t it? Dr. Biplab Sarkar: Although the software was only premiered last year, we have already made some major improvements based on our users’ feedback. The 2019 edition of the software provides users with a suite of tools for adding different lengths of trusses and calculating their deflection forces accordingly. 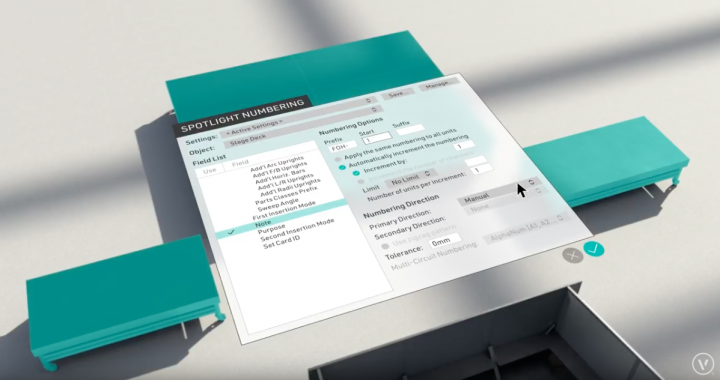 When working with a particular brand or model of truss, the software will provide a complete list of connectors, accessories and tools that may be required for this operation. We are in constant communication with manufacturers of truss and rigging products to ensure that these databases are kept updated to current standards, as new products are released. A new heat-mapping feature allows users to see truss loads rendered and displayed as colour gradients, for an instant visual representation of stress points within a truss system. This colour gradient ranges from green to red, with green indicating an area of truss that currently has a good level of loading and is comfortably within its ratings. This then passes through to yellow as a section of truss approaches its load limit, so that the user can identify where new supports need to be added and where recalculations are required. Red dictates a load limit that has been reached or exceeded. This is a great system for quickly bringing any critical areas of a system to the users attention, rather than simply outputting a report or expecting the designer to study the calculation reports numerically. Braceworks now supports different orientations of truss lengths, including ground supported loads. An example of this is with triangular truss, which can now be managed as either point-down or point-up, depending on the design of the truss system. To add flexibility to the modification of designs, we’ve enabled a new command known as “replace trusses”, which can calculate different truss length combinations to achieve a pre-determined total length. The command provides this information based on what lengths of truss the software knows to be available within the user’s inventory of stock – information which it gains from an inventory system that can link with a simple excel spreadsheet of stock levels. 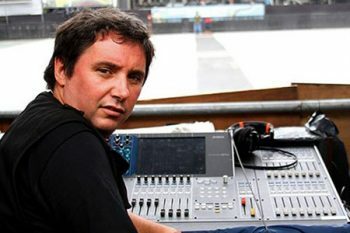 LightSoundJournal: How about any enhancements across the software suite with regards to performance or flexibility? Dr. Biplab Sarkar: In terms of performance, our pre-visualiser, Vision, has been dramatically updated across our software in order to perform up to seven times faster in terms of frame rate. Previously working at a (on average) speed of around 20 to 30 frames per second, users can now expect rendering speeds of around 120 to 250 frames per second. Not only has the speed that these renderings are created at been improved, but also their quality – which sees higher quality renderings that feature improved accuracy of light fall-off. Light plots can now be auto-numbered in a more logical method, with new labelling options that were previously limited to number of devices. Now, however, a numbering system can apply to multiple object types, including the ability to add custom suffixes and prefixes to numbering schemes. It’s also worth noting that the software no longer requires authorisation from a dongle, instead now operating over internet authorisation software. However, dongle protected licenses can still be purchased if you don’t desire internet-based authorisation. LightSoundJournal: What about any improvements outside of Spotlight and Braceworks that our readers and users might find particularly useful? Dr. Biplab Sarkar: We’ve added a number of new online services that aim to assist users with a variety of logistical factors that may need to be considered when working within the entertainment industry. For example, we have a new system from TranSoft Solutions that calculates the radius of vehicles based upon their specifications. If you are working on a particular stage and need vehicle access for a particular size vehicle, you can calculate whether or not it is possible for basic access, but also whether or not it is possible for the vehicle to turn. Two different bundles are available with many different sized vehicles already programmed. For working in tandem with another designer for example, there is a feature called project sharing. This means that the whole design is contained within one file, which can have thousands of classes and layers. All those classes and layers can now be searched for using a built-in search feature for layers. Filters can also be created to quickly isolate information. For example, all classes that come from a particular file, or from a particular manufacturer, or type of stage deck. Users can also create a customised tagging systems for these classes. 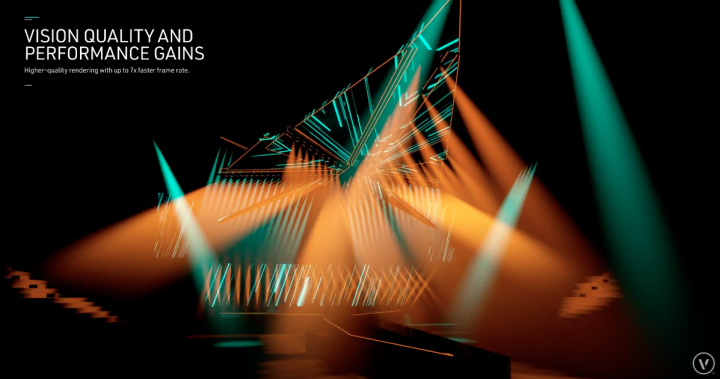 LightSoundJournal: What sets Vectorworks, indeed including the 2019 update, apart from other competitors on the market. What makes it a valued investment for industry professionals? Dr. Biplab Sarkar: We believe that its very much a case of constantly improving upon the the features that our users already know and love. First and foremost, this can be seen in the speed of our platform and the increases made in the 2019 version. Files should now open around four times faster than in the previous version. Once loaded, the navigation of these files will also be much faster due to a redesign in how the software utilises the processing hardware available to it. For example, drawing elements and elements that are interactive are now handled independently by the graphics card, freeing up CPU and central processing to manage the layers themselves. Pan and Zoom data is now also being handled directly by the graphics card, with the data for this geometry being stored as a cache. Whenever the user releases the mouse, multiple threading is used to draw that final frame. Because the software utilises multi-thread processing, the view can be changed whilst the final frame is still being drawn, without interrupting the processing. It’s also worth noting that the user does not need to assign or limit the amount of processing power available to the Vectorworks software running. This is because the software will dynamically vary its processing requirements based on the processing power available whilst working alongside other applications and software processes. LightSoundJournal: You recently announced your pioneering approach to a new Open Data Standard, with General Device Type Format. Does that format benefit significantly from the 2019 update? Dr. Biplab Sarkar: We have now introduced a new extension of the format, which is no longer limited to GDTF info for lighting devices. 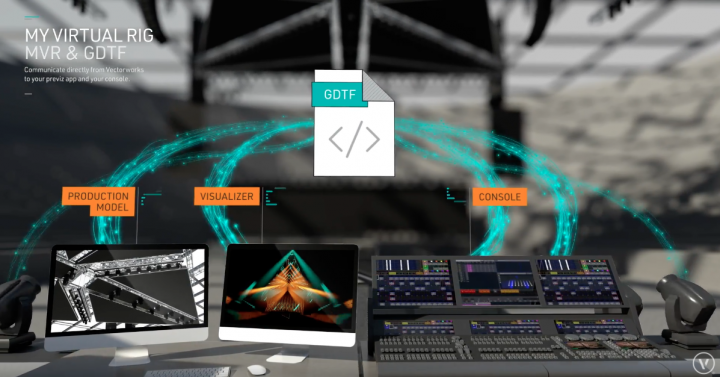 The GTDF will be available for free for anyone to use, and we’ve set up GDTF Share (www.gdtf-share.com) so that users and developers can share ideas and express interest in adopting the format. LightSoundJournal: So, what are the update options available for existing Vectorworks users? Dr. Biplab Sarkar: Vectorworks Service Select customers on a maintenance programme receive the update for free. On the Vectorworks portal, the update takes place through the download portal. A thumb drive option is also available for those who prefer a hard copy of the update. It’s worth noting that despite all of the improvements and speed increases, the system requirements for the 2019 version of the software remain unchanged from the previous version. LightSoundJournal: Lastly, i’d like to talk about training. Vectorworks is known for having a strong link with training and education, so can you tell me about how users can learn about the new updated features? 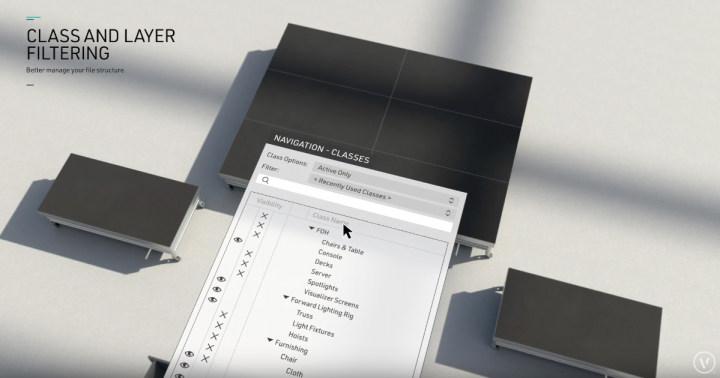 Dr. Biplab Sarkar: Vectorworks Spotlight webinars are available for what’s new in the 2019 versions. These recordings will of course be there for any new users as well as existing users who want to keep up to date on the developments within the software. Online training is also available by calling our customer service departments, and we offer training in person at our headquarters. 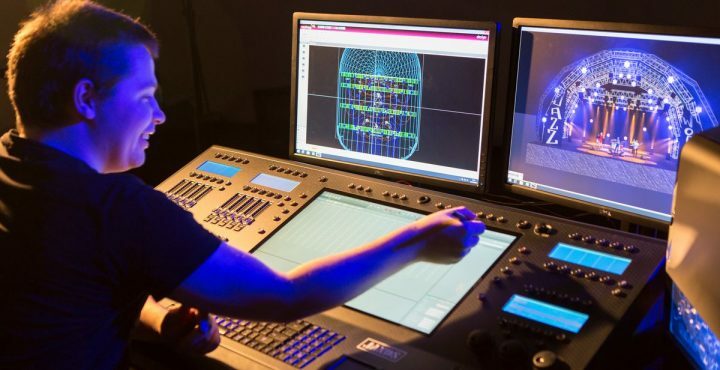 We also recently offered training at LDI 2018 so that professionals could take the opportunity to update their skills whilst learning about the new features. 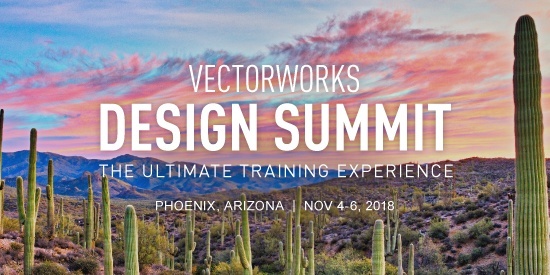 And of course, we have our upcoming Vectorworks Design Summit, which gives users the perfect opportunity to explore the exciting updates alongside other professionals, as well as for new users to gain insight into what is an ever improving eco-system of software packages. This year is the fourth edition of the summit, held in Phoenix, Arizona at the Sheraton Grand at Wild Horse Pass. 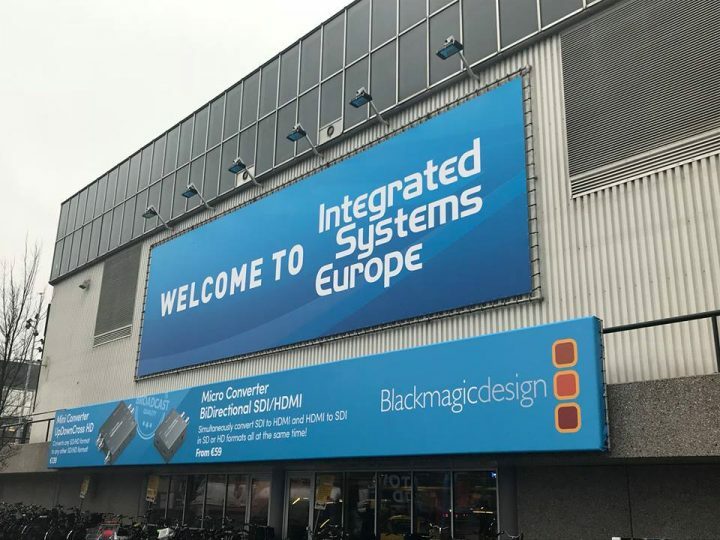 The 3-day event will consist of industry workshops, inspirational design and networking opportunities – a fantastic platform for learning and professional development. Images and video courtesy of Vectorworks, Inc.